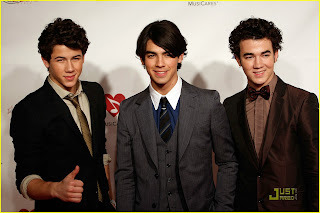 Lines, Vines, and Trying Times is the tentative title for the Jonas Brothers fourth album, from RollingStone, JonasHQ. Nick, 'Lines are something that someone feeds you, vines are the things that get in the way, and trying times, well, that's obvious.' The brothers tell fans to expect more ultra-catchy pop like the new song 'Poison Ivy', a Weezer-ish tune about a toxic girl you can't resist.